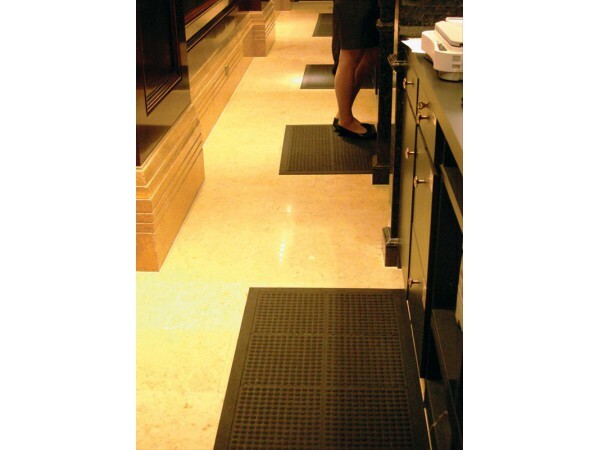 Our Anti-fatigue mat is designed and engineered for maximum comfort and safety. Its’ resilient solid rubber construction is built tough to withstand the rigors of daily use. 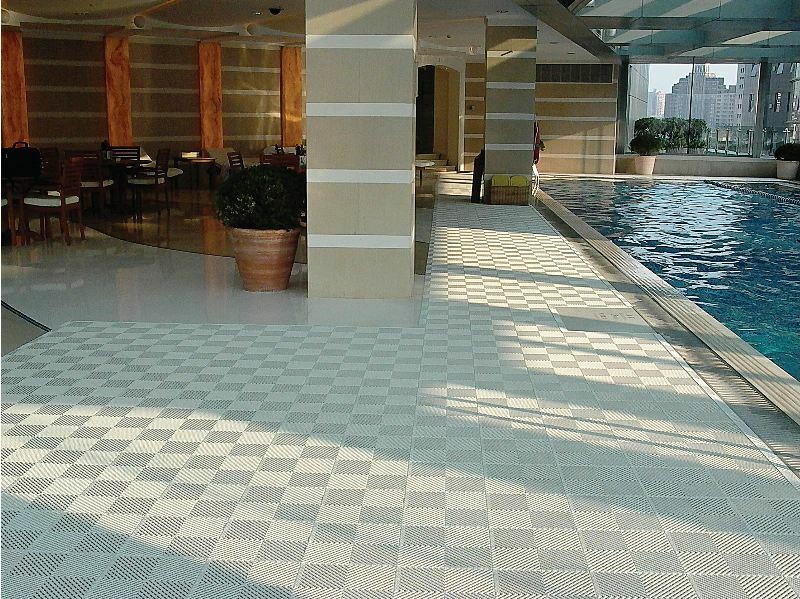 It comes standard with molded bevelled edges and is easy to maintain by periodic washing with a hose or pressure washer. 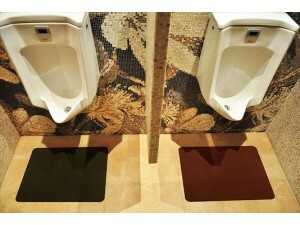 Our Anti-fatigue mat is also available in fiber coated colors by special order. 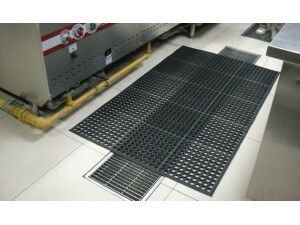 • Made from durable, 100% NBR rubber, it provides superior resistance to water, oil, grease, chemicals and animal fats. 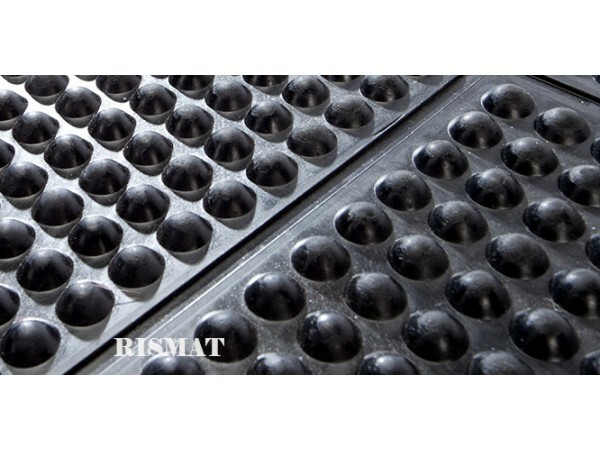 • The smooth bubble structure of our Anti-fatigue mat, acts to reduce the effects of worker fatigue by promoting active leg movement. 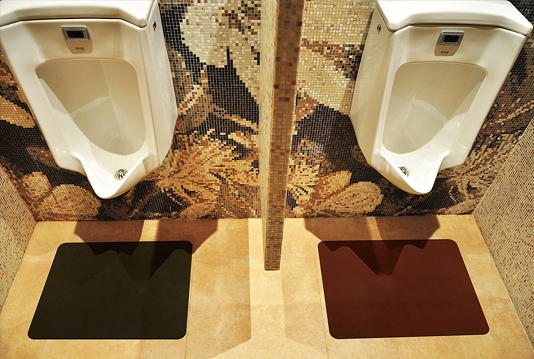 This movement, although subtle, is enough to reduce some health risks associated with extended periods of standing. 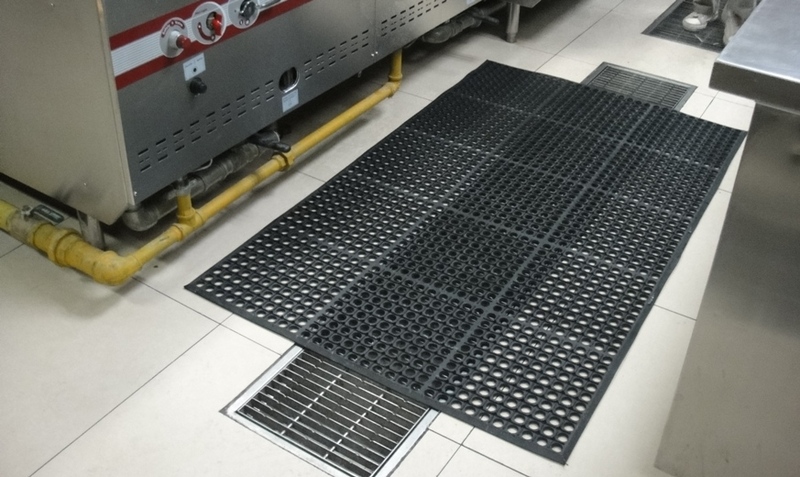 • The anti-slip, anti-bacterial characteristics of the solid rubber construction, provides a comfortable, safe work surface that can also provide an effective insulating barrier from cold floors. • Anti-fatigue mats are an effective tool to reduce worker fatigue that has been associated with poor worker concentration, higher possibility of accidents, and lower productivity levels. 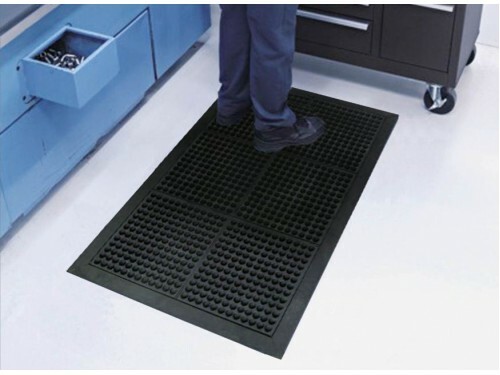 • Ideal for both commercial and industrial environments, our Anti-fatigue mat is an excellent solution where a durable and ergonomic mat is required.